In support of the World Water Day, 22 March 2019, a number of initiatives around the country are aimed at reminding South Africans just how precious this resource is – something that recently hit home when a number of provinces around the country suffered severe drought. The memory of the much-dreaded “Day Zero” that loomed over the City of Cape Town is still fresh in the nation’s collective memory. Whilst the Cape had good rainfall over the winter of 2018, many regions of the country are still experiencing severe water shortages and the nation as a whole has become well aware that going forward, water will remain a scarce resource. It remains the responsibility of every citizen to purposefully work at conserving water. Finish dishwashing products have launched a drive to highlight the ways to conserve water by utilising modern dishwashing technology. With soaring utility bills, consumers are looking for ways to economise around the home. Obvious ways such as turning off lights, showering instead of taking a bath and installing a rainwater storage tank are popular, however – another very effective measure, that could surprise many is using a dishwasher to wash up, rather than doing your dishes by hand. The idea that a dishwasher uses a great deal of water every time it goes through a full cycle is a common misconception. In reality, industry leaders like Finish dishwashing products, have calculated that using a dishwasher is more efficient than hand washing your dishes – saving you money and time and freeing you up to do more worthwhile activities, like spending time with family and friends. A dishwasher uses and heats only the exact amount of water needed, cleaning and re-circulating on average 12 litres of water per cycle. This means a family of 4 could save on average 51 litres of water per load, compared to handwashing. “Looking after our natural resources is a responsibility we take seriously. Using a dishwasher uses 57% less water than washing dishes by hand. 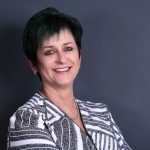 If everyone can do their bit to save water, we can stand together to make South Africa’s future bright.” – Raheel Dhaduk, Managing Director of Reckitt Benckiser – holding company of Finish dishwashing products.